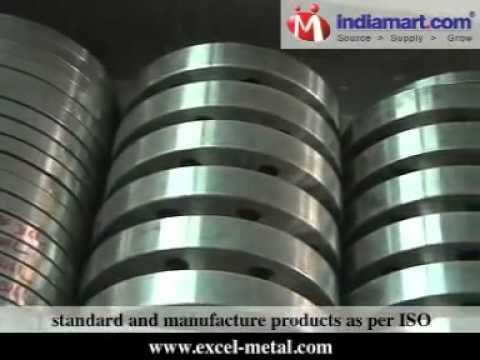 Excel Metal & Engg Industries [Mumbai] are established in the year 1990. Since our founding, we have been engrossed in manufacturing, distributing, supplying, exporting of quality Products to our clients across the globe. Our complete assortment of these products like Metals, Alloys, High Purity Metals, Rare Earth Metals , Nano Particles, Super Alloys, Special Steel, Stainless Steel, Mild Steel, Aluminium Alloys, Copper , Brass, Nickel, Monel, Inconel, Hastalloy, Gun Metal etc. We also offer customization of these products based on the requirements of the clients. Our organization is having a spacious manufacturing unit that is equipped with ultra modern sophisticated machineries. We uses the first quality material that are sourced from the trusted vendors in the market. We produce our collection based on the technical specifications of the customers. We are an ISO certified company and we follow ISO standard and manufacture products as per ISO standard. Our products are well tested after manufacture after that we deliver the products in market. Our clients knows us for our quality products and timely delivery. Thus we are able to earn a huge client base across the globe like ,UAE, Oman, Saudi Arabia , Germany Caribbean, Australia/NZ, East Europe, North Europe, East/Middle Africa, Central America and East Asia etc ..